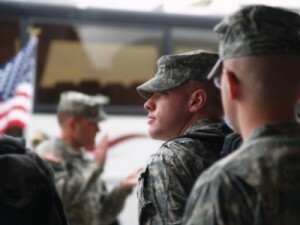 If you are charged with an offense under the Uniform Code of Military Justice (UCMJ) while on active duty, the charges threaten more than just your criminal record. Criminal charges may affect your security clearance, your rank, or even your entire military career. It is crucial that you take active steps to protect your rights and to seek the assistance you need to make the strongest possible case on your own behalf. Don’t talk about your case. You have the right to remain silent, and it’s wise to exercise this right. Do not discuss your case with anyone except your own attorney. Avoid talking about the case with friends or family, and do not mention it at all on social media. Any comments you make to friends or on sites like Facebook can be used against you in court. Gather what information you can. You may know the names or addresses of witnesses who can support your side of the story. If possible, gather this information in one place, and give a copy to your attorney as soon as you can. Work with an experienced military defense lawyer as well as your Government attorney. An experienced military defense lawyer can team up with your free Government lawyer to ensure all the bases are covered and that you receive the strongest possible argument in favor of the best possible outcome in your case. Don’t hesitate to contact a defense attorney to learn more about how you can protect your legal rights. The Law Firm of Joseph H. Low IV understands that people in the military have different lives than civilians. We’ve helped many members of the military with the defense they needed.